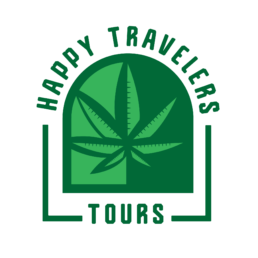 The Happy Travelers Tours “Wine-and-Weed” Tour™ takes our Guests on an exploration of the convergence of Vineyards and Cannabis. On this unique Tour, we will taste and sample wine and cannabis, get your hands on marijuana (and help you try to roll a “joint”), enjoy a pizza lunch and visit two different Premium Wineries in the Valley of the Moon. Taste Wine! Sample Cannabis! Enjoy the Scenic Beauty of Northern California’s Wine-and-Weed Country and become a Happy Traveler!